Weatherstrips | Toyoda Gosei Co., Ltd. 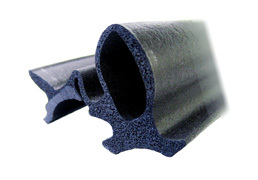 These are rubber products affixed to the vehicle body, which serve to protect the vehicle cabin from the elements. They are matched by material and color to vehicle interior color variations. Door glass runs are affixed via the frame to the sliding portion of the window glass. 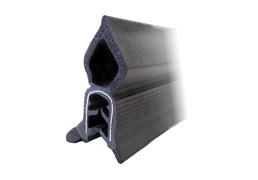 They are composed mainly of EPDM rubber and thermoplastic olefin (TPO), serving to protect the glass and ensure the smooth operation of windows. 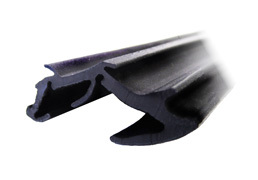 These weatherstrips are affixed in the door opening via the frame or clips, and serve to protect the vehicle cabin from the elements. They also absorb impact when the door is opened and closed and help keep the vehicle cabin quiet. 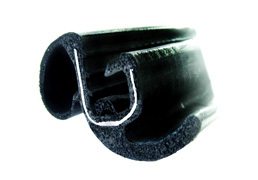 These are rubber products affixed to the body side of the trunk, protecting the trunk interior from the elements. They also absorb impact when the trunk is opened and closed and prevent backlash and rattle. Attached to door and window frames, these products keep out rain, wind, and noise. They also serve many other important roles, such as the smooth opening and closing of doors and raising and lowering windows. Toyoda Gosei boasts a top share on the world market for these parts, providing products globally from 16 production sites worldwide.